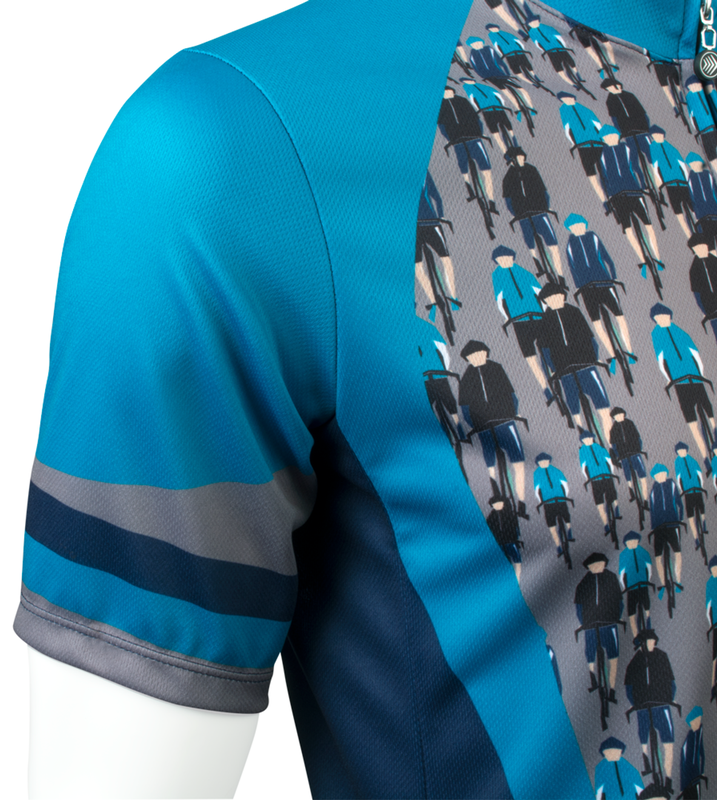 The Bike Dude Sprint Jersey has vivid color and detailed printing that stems from our modern sublimation printing techniques. 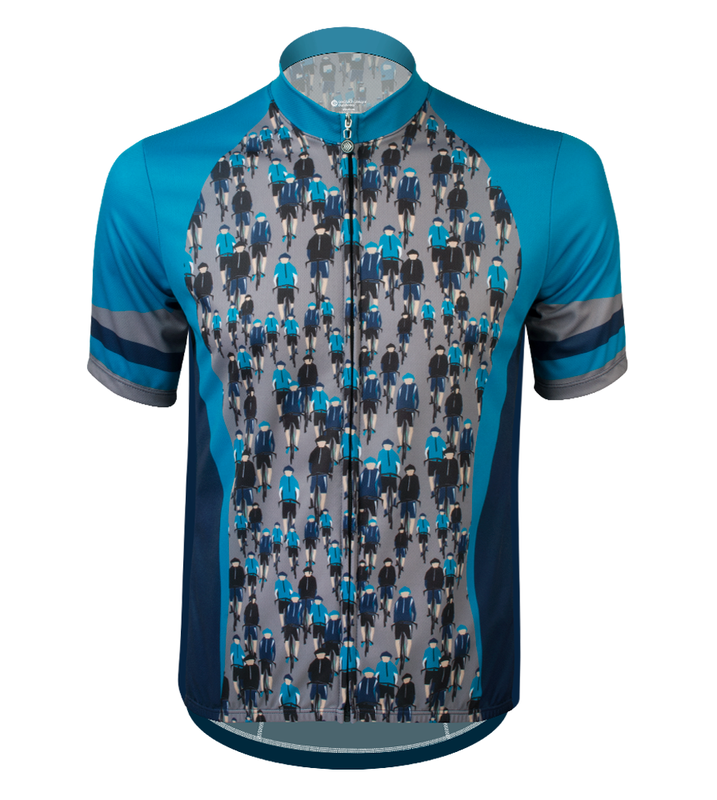 The Bike Dudes sprint style cycling jersey is great for long rides because of the design features and the high quality anatomical design. 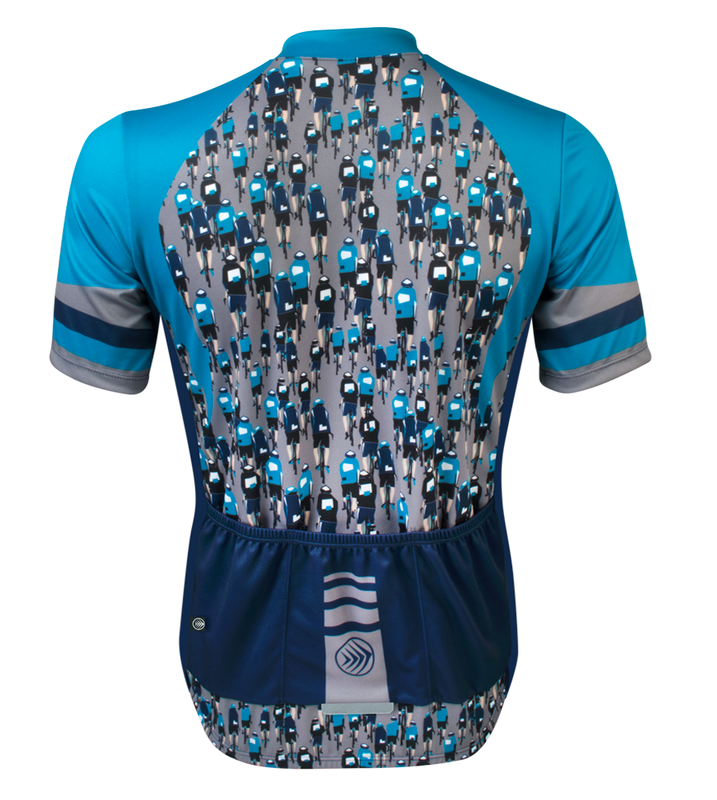 The sprint cycling jersey comes with a full length zipper and three rear pockets on the back for storage. It is short sleeves with three roomy rear pockets. It is made with our AeroDri Tech Fabric that stays dry and looks brilliant. The key colors are highly visible. Teal is the primary color with a charcoal background. The front is the facing view of cyclists coming towards you and the back graphic is cyclists moving away in a pack of riders. 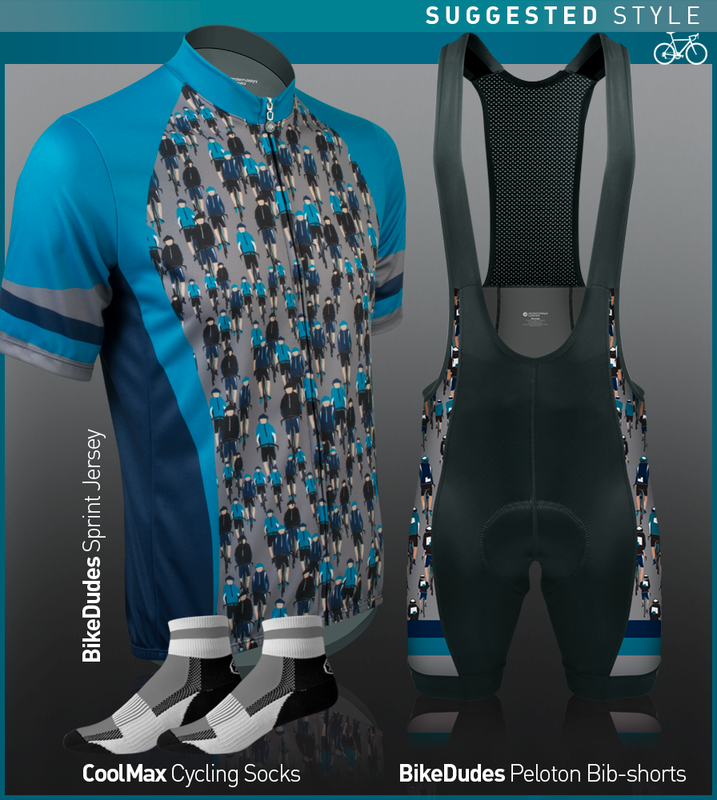 The cycling jersey's bottom hem is slightly elastic to hold the garment snug to hips to keep it in place and prevent flapping in windy conditions. The neckline has a tag-less label. This exciting vintage cycling jersey has vivid color and texture. 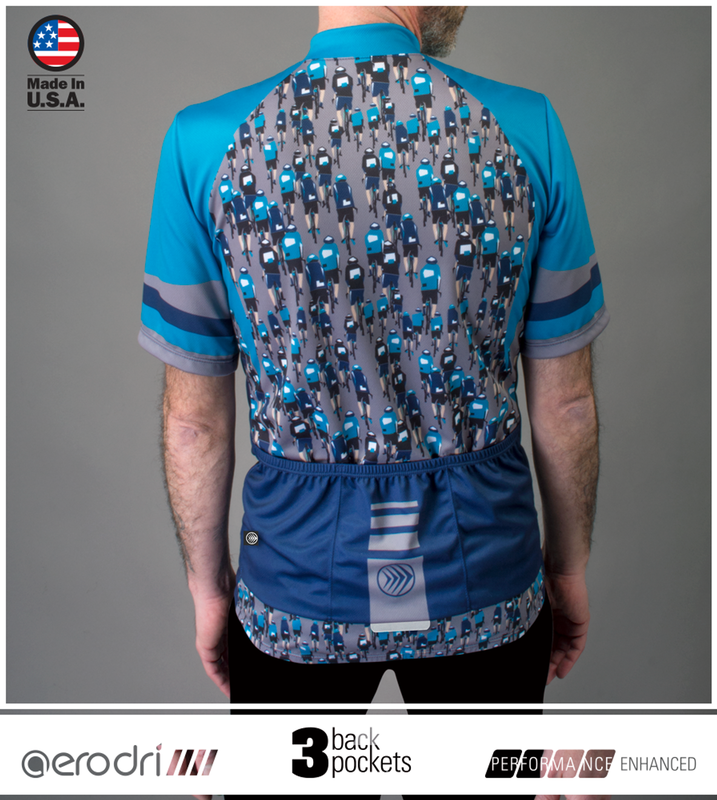 This Bike Dudes cycling jersey is handcrafted in the USA. Artwork has a front and a back view of biker dudes. The Sprint Jersey fits looser and is not skin tight.